Newman's Own is a company that sells great organic snacks anything from cookies, to dried fruit, pretzels, Chocolate bars, to Chocolate Cups, Mints and Fig Newman's I have to say everything I have tried is absolutely great I love all the cookies and snacks they have and would highly recommend anyone to try them out. Even my daughter loves them not so much the pretzels but she likes most of the snacks we have tried so far. 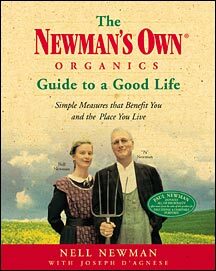 If you would like to check there site out go here Newman's Organics you won't be sorry when you try these you are going to wonder how you ever missed out. My favorite out of everything had to be the chocolate cups but I am partial to chocolate anyway. Even my husband liked some of the stuff and he is pretty picky so if you haven't already yet go check them out you won't be sorry. I loved there licorice too. Disclaimer these item's were sent to me in exchange for my honest opinion on them.